Situated on the Strip, this luxury apartment building is within a 10-minute walk of Surfers Paradise Beach, Timezone, and Cavill Avenue. Ripley's Believe It or Not and Slingshot are also within 1 mi (2 km). 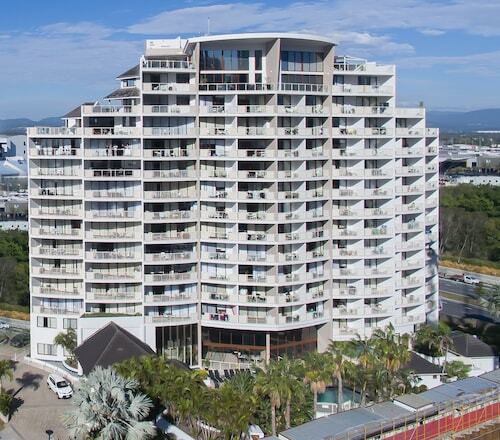 Located in Coolangatta, this beachfront apartment building is in the city center and within a 15-minute walk of Coolangatta Beach, Kirra Beach, and Greenmount Beach. Snapper Rocks is 0.9 mi (1.5 km) away. 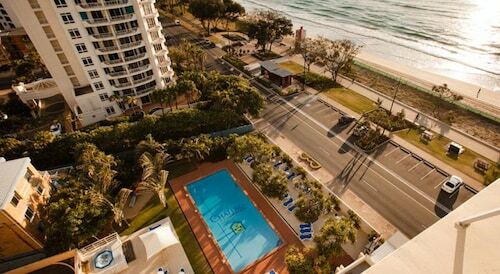 Situated by the ocean, this apartment building is within a 15-minute walk of Slingshot and Ripley's Believe It or Not. Cavill Avenue and Timezone are also within 1 mi (2 km). Nestled on the beach, this Surfers Paradise aparthotel is steps from Surfers Paradise Beachfront Markets, Cavill Avenue, and Timezone. Chevron Renaissance and Surfers Paradise Beach are also within 10 minutes. 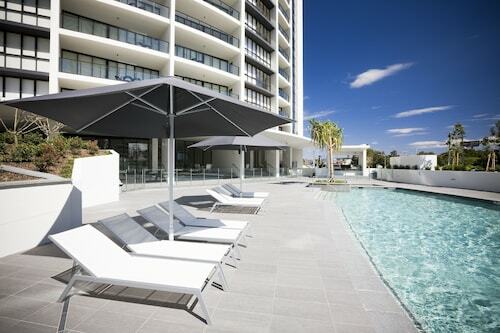 This family-friendly Broadbeach apartment building is located by the ocean, within a 10-minute walk of Oracle Boulevard, Pacific Fair Shopping Centre, and Gold Coast Convention and Exhibition Centre. The Oasis and Kurrawa Beach are also within 10 minutes. Broadbeach South Light Rail Station is only a 5-minute walk. 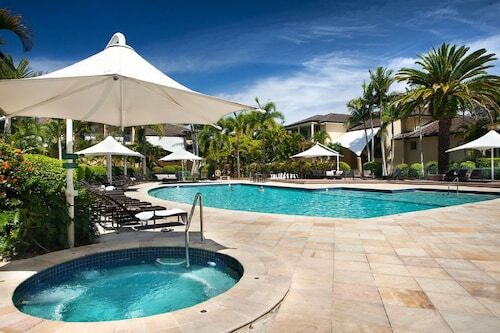 This family-friendly Mermaid Beach apartment building is located near the beach, within 2 mi (3 km) of Putt Putt Golf Mermaid Beach, Kurrawa Beach, and Pacific Fair Shopping Centre. The Star Gold Coast and The Oasis are also within 2 mi (3 km). Broadbeach South Light Rail Station is 24 minutes by foot. 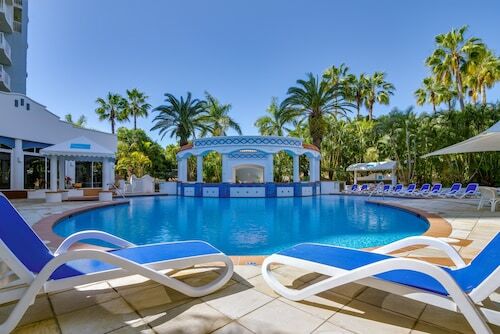 Situated by the sea, this luxury aparthotel is within a 5-minute walk of Oracle Boulevard and The Oasis. Gold Coast Convention and Exhibition Centre and Kurrawa Beach are also within 10 minutes. Broadbeach South Light Rail Station is 8 minutes by foot. 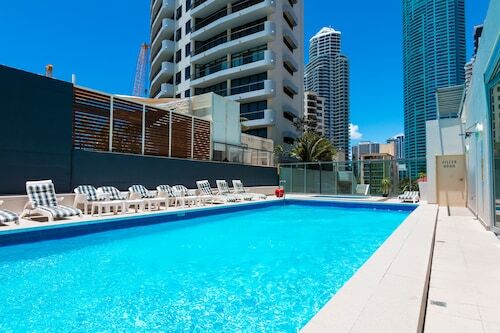 Located in Surfers Paradise, this beachfront apartment building is in the city center and within a 5-minute walk of RaceCentre Race Simulators Australia, Surfers Paradise Beach, and Chevron Renaissance. Cavill Avenue and Infinity Attraction are also within 10 minutes. This family-friendly Surfers Paradise aparthotel is located near the beach, just steps from Adrenalin Park and Slingshot. 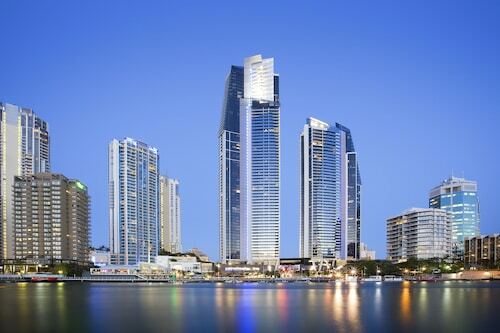 Chevron Renaissance and Surfers Paradise Beach are also within 10 minutes. 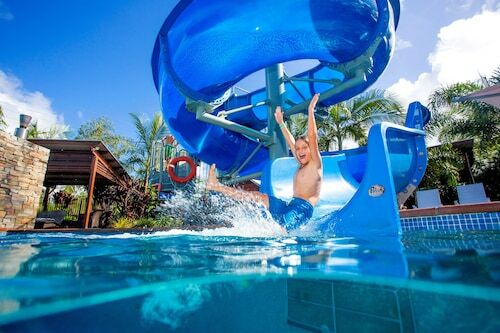 This family-friendly Surfers Paradise aparthotel is located near the beach, within a 10-minute walk of Cavill Avenue, Chevron Renaissance, and SkyPoint Observation Deck. Infinity Attraction and Timezone are also within 10 minutes. Situated on the Strip, this apartment building is close to Cavill Avenue, Chevron Renaissance, and SkyPoint Observation Deck. Also nearby are Surfers Paradise Beach and Timezone. 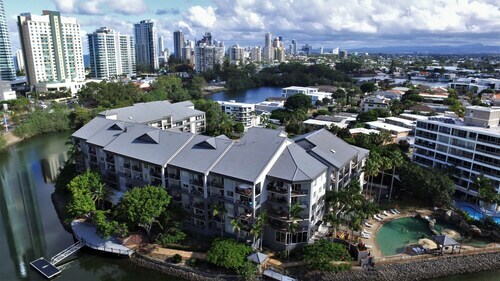 Located in the heart of Surfers Paradise, this apartment building is 0.4 mi (0.7 km) from Cavill Avenue and 11.5 mi (18.5 km) from Gold Coast War Museum. 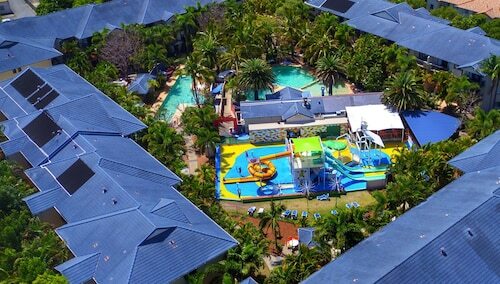 Situated in a shopping district, this campground is within 3 mi (5 km) of Warner Bros. Movie World, Wet'n'Wild Gold Coast, and Dreamworld. WhiteWater World is 2.7 mi (4.3 km) away. 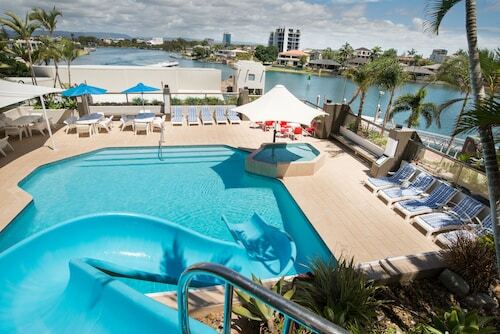 This family-friendly Broadbeach apartment building is located near the beach, within a 10-minute walk of Dracula's Queensland, Pacific Fair Shopping Centre, and Kurrawa Beach. 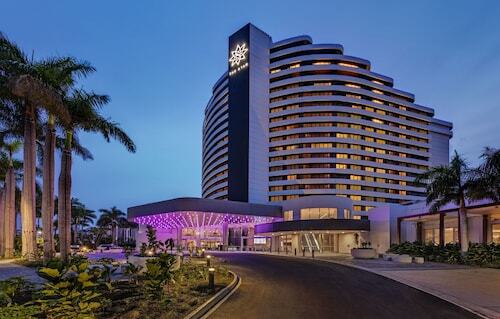 The Star Gold Coast and Gold Coast Convention and Exhibition Centre are also within 15 minutes. Broadbeach South Light Rail Station is only a 4-minute walk. 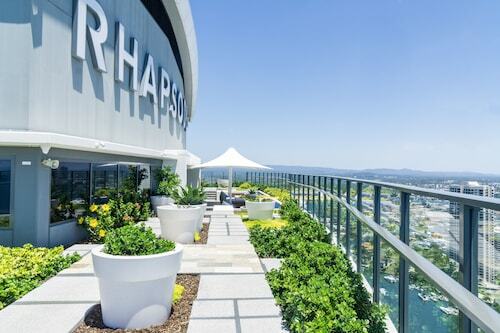 Situated near the airport, this luxury apartment building is within a 5-minute walk of SkyPoint Observation Deck and Surfers Paradise Beach. Cavill Avenue and Chevron Renaissance are also within 15 minutes. Situated near the beach, this apartment building is within a 5-minute walk of Surfers Paradise Beach and SkyPoint Observation Deck. Cavill Avenue and Chevron Renaissance are also within 15 minutes. Situated in the entertainment district, this luxury apartment building is within a 10-minute walk of Oracle Boulevard, Gold Coast Convention and Exhibition Centre, and Pacific Fair Shopping Centre. The Star Gold Coast and The Oasis are also within 10 minutes. Broadbeach South Light Rail Station is only a 4-minute walk. 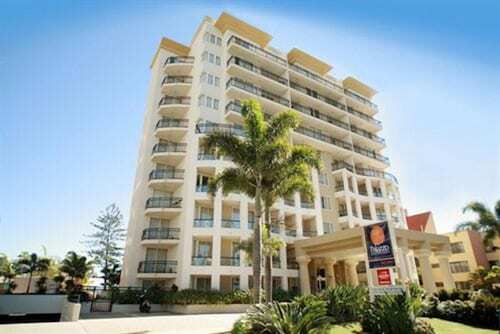 Located in the heart of Surfers Paradise, this aparthotel is within a 5-minute walk of Ripley's Believe It Or Not! Surfers Paradise, Cavill Avenue, and Timezone. 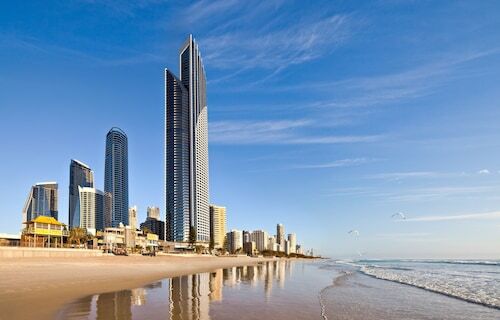 Surfers Paradise Beach and SkyPoint Observation Deck are also within 10 minutes. Offering direct access to the beach, this Broadbeach apartment building is in a shopping district and within a 15-minute walk of Kurrawa Beach and The Star Gold Coast. Broadbeach South Light Rail Station is 13 minutes by foot. 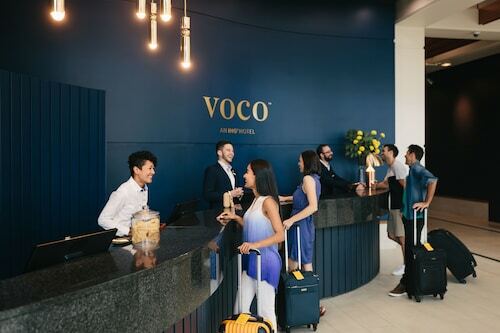 Situated in Broadbeach, this luxury aparthotel is within a 10-minute walk of Dracula's Queensland, Pacific Fair Shopping Centre, and The Star Gold Coast. Kurrawa Beach and The Oasis are also within 10 minutes. Broadbeach South Light Rail Station is only a 4-minute walk. You’re the type of person who wants to be right in the middle of it all, but still have your own space. You want to be able to take care of everything yourself, but also get plenty of R&R. Well, holiday rentals in Gold Coast are ready to roll out the welcome mat. We mean that literally—they probably do have a welcome mat. It’s all those little things that will make you fall in love with this type of accommodation, and with Gold Coast itself. Once you’ve stayed in a holiday rental, you’ll wonder why you ever stayed anywhere else. Gold Coast holiday houses have everything you could need in a place to stay, along with several things you probably never even thought you needed. Towels and linens? Check. Cooking utensils? Check. Dog treats for the pupper? Well, you might want to bring your own to your pet-friendly holiday house, just in case. (He’s a picky little prince anyway, right?) But otherwise you’re good to go. You might even find some games for the little ones, if you’re bringing the family along. If you are bringing the kids, don’t let that dissuade you from looking for the finer things. 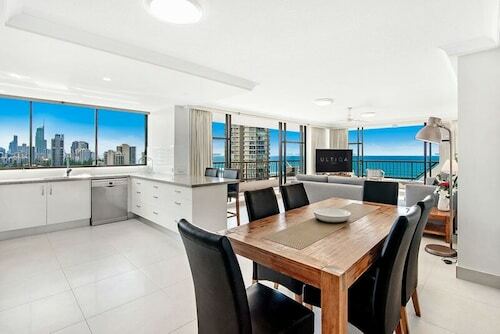 Luxury is the name of the game in Gold Coast, and house accommodation is no different. Sure, it should feel like a home away from home—but more like a really fancy home, where you don’t have to worry about cleaning or mowing the lawn. Yes, it’s as great as it sounds. Make your next getaway truly your own. We’ve got plenty of holiday accommodation in Gold Coast with your name on it, so pack up your favourite books, wine and that playlist of summer hits from 2003. It’s your time to shine. 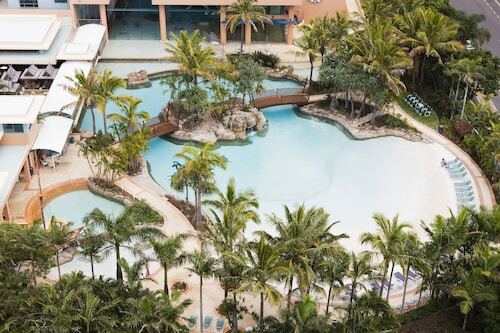 Situated by the ocean, this luxury hotel is within 1 mi (2 km) of Pacific Fair Shopping Centre and Surfers Paradise Beach. Timezone and Cavill Avenue are also within 3 mi (5 km). Broadbeach South Light Rail Station is 7 minutes by foot. This family-friendly Carrara hotel is located near the airport, within 3 mi (5 km) of Palm Meadows Golf Course and Metricon Stadium. Surfers Paradise Beach is 4.8 mi (7.7 km) away. 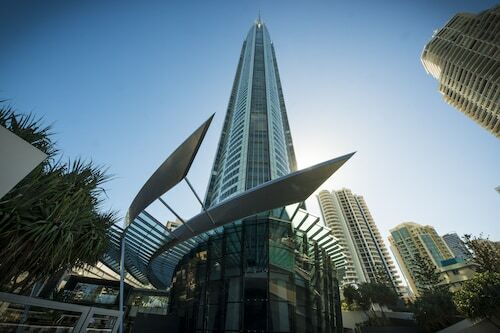 Located in the heart of Surfers Paradise, this luxury hotel is within a 5-minute walk of SkyPoint Observation Deck and Surfers Paradise Beach. Cavill Avenue and Timezone are also within 10 minutes. 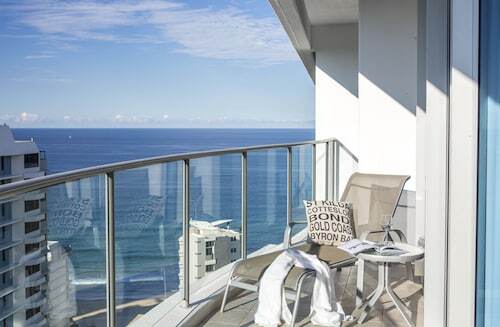 Situated near the beach, this luxury hotel is within 1 mi (2 km) of Surfers Paradise Beach, Gold Coast Convention and Exhibition Centre, and Cavill Avenue. Pacific Fair Shopping Centre and Sea World are also within 6 mi (10 km). Broadbeach South Light Rail Station is 28 minutes by foot.